When your tires are balanced and your wheels aligned correctly your car will glide down the road. That’s why proper tire alignment can protect you from spending hundreds of dollars in tire replacement and suspension repairs. With our alignment test, Chappell’s Tires can determine within minutes if your wheels are tracking straight. If adjustments are needed we’ll give you an estimate to correct the problem. We recommend having your vehicle’s alignment checked annually. Don’t wait until your tread is worn out. When it’s time to replace your tires we have a large supply of new and used tires to fit every vehicle and every budget. Since 1978 our customers have come to know and trust Chappell’s Tires for our fair prices and friendly, honest service. We are a family-owned and operated business with a proud history of providing personalized and quality service that is quick and convenient. 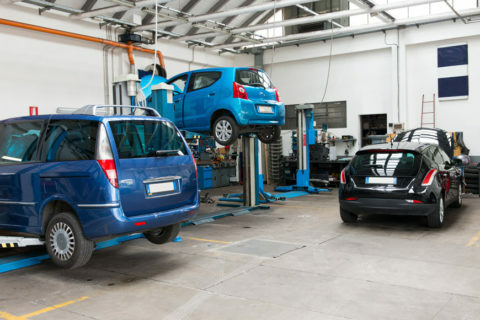 Whether you need new or used tires, an oil change, brakes, shocks, alignment, or engine repair, our technicians will get you back on the road in no time, and at a competitive price. Our goal is to make you and your family customers for life. Give us a call at 417-866-7256 to make an appointment. Roadside Assistance available during business hours. We can install tires and repair flats on cars, trucks, semis, tractors, forklifts, loaders, and more.